(Natural News) Too much of anything is bad for your health — this holds especially true for internet access and usage. In an article in The Guardian, cyber experts warned about a slew of health conditions that stem from excessive use of the internet. European researchers have identified cyber equivalents of hypochondria and hoarding in people who spend too much time online. Cyberhoarders are unable to delete any data they have gathered from online sources. Meanwhile, cyberchondriacs are irrationally worried about their health. They use search engines and visit websites to find ways of restoring and preserving their health. However, they end up self-diagnosing themselves with new health problems. Fineberg took care to clarify that cyber conditions might turn out to be unrelated and very different from their analog equivalents. That is why research on cyberchondria, cyberhoarding, and other internet-related health issues is important. Efforts — like the joint network she chairs — will not just shed light on the diagnosis of these new problems. They could also broaden the understanding of the existing health conditions. In the scientific journal European Neuropsychopharmacy, Fineberg and her European colleagues published a manifesto on the issues that came from unhealthy use of the internet. They plan to determine the specifics of each internet-related condition. The researchers want to find out if a particular condition was more akin to addiction or to obsessive-compulsive disorders. They also want to determine if these conditions are only temporary or last a very long time. To that end, they need to develop scales of measurement for these conditions. A widely accepted and accurate scale would help healthcare providers diagnose the level of the patient’s condition. It would also help determine if the patient is getting better or worse during treatment so that providers can quickly change their approach. “We are very interested in the concept of biomarkers, including digital biomarkers; in other words, the pattern of your accessing the internet may allow us to detect whether or not you are going to turn out to be vulnerable or not,” Fineberg suggested. One of her ideas is to have websites keep track of the amount of time a user has spent on them. If the user spends too much time, the site will send a warning message to researchers for compilation into a database. Fineberg’s proposal raises the ugly specter of privacy violation, given that tech companies have been known to harvest personal data for their own purposes. Yet there is no denying that internet-related conditions are growing more prevalent and severe. The World Health Organization (WHO) has already classified excessive video gaming as a mental health disease. And the U.K.’s National Health Services recently opened a clinic for people who are addicted to the internet. While not everyone is at risk, an affected person could go off the deep end very quickly. Children are particularly vulnerable, especially if there are compounding factors such as their parents going through a separation or divorce. 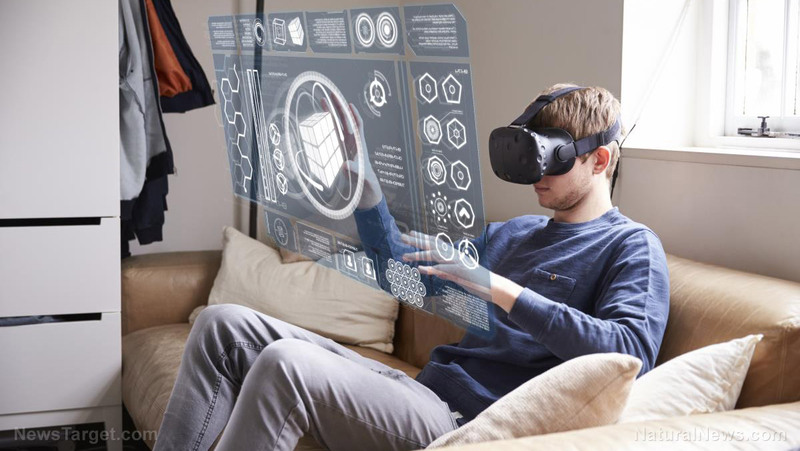 You can read more articles about the potential effects of computer-related health conditions at VirtualReality.news.